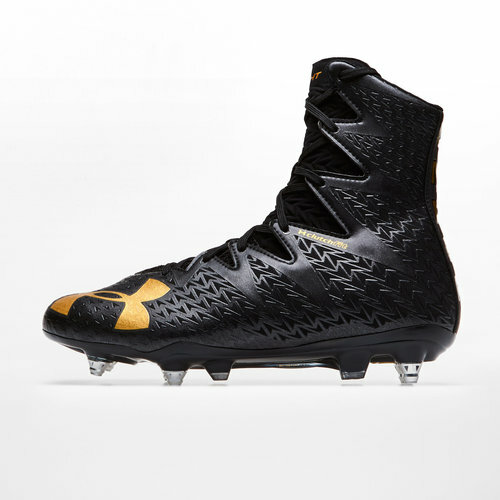 Built for the forwards ready to front up and use power to dominate the game, enjoy support in the scrum, lineout and during the collisions when you lace up the Under Armour Highlight Hybrid SG Rugby Boots. 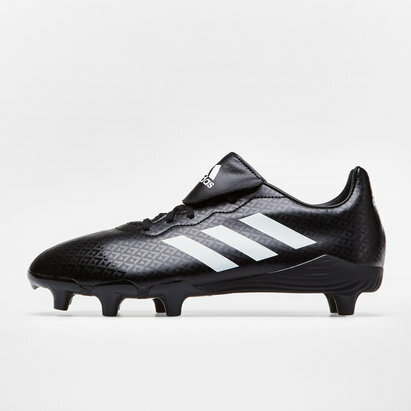 This boot features a high top cut which sits over the ankle for increased support during the heat of battle, based on the boots worn in the NFL, these boots can help to limit lower leg injuries. Despite the cut of the boot, the ClutchFit upper provides enough flexibility to ensure comfort throughout wear time. Designed for the forwards experience the power and mobility when getting around the park with these.